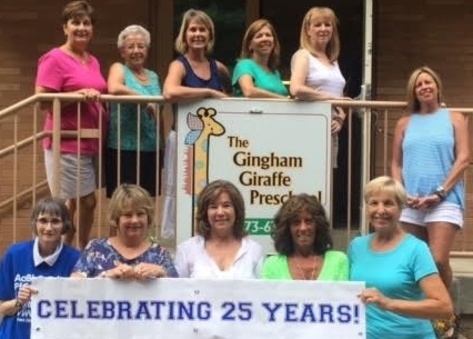 The Gingham Giraffe's 28th year! In 1990, we had six students... now we have over 150! While many preschools have come and gone in our area, we continue to thrive because of our dedicated staff and the families that make our school a community. Thank you Chatham and the surrounding towns for helping to keep Gingham great! Gingham was the first in Chatham to offer curb service, kindergarten enrichment, and a program for children under three years old. Visit the Program Offerings page for our current programming. We love hearing from alumni! Contact Gail Smith at director@ginghamgiraffe.com to let us know how you and your children are doing! Click here for the full newspaper article!